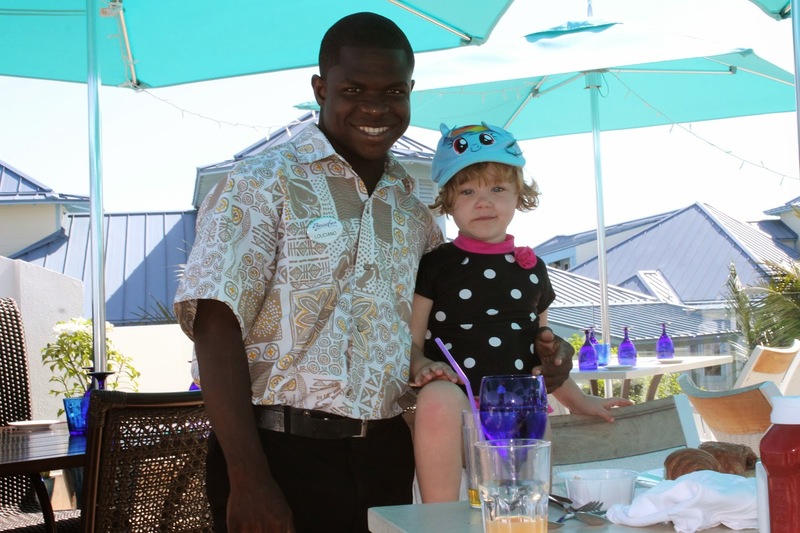 When staying at any resort for a week’s time, the kids and I tend to get to know a lot of the on-site employees. This trip to Beaches Turks and Caicos was no different. By far one of our favourite employees was a young man named Louciano who always had time for a chat and a hug from Charlie. In fact, our meals were often based around where he was working. Like many of the employees at the resort, Louciano was a recent high school graduate who had been educated on the island. Through many conversations with him, I became quite intrigued about the Sandals Foundation and its role in education on the island. The Sandals Foundation, which is the philanthropic arm of Sandals Resorts, the parent company of Beaches, has as its mission a goal to invest in communities throughout the Caribbean by investing in education, environment, and community projects that improve people’s lives and preserve natural surroundings. But what does this really translate to for people like Louciano? 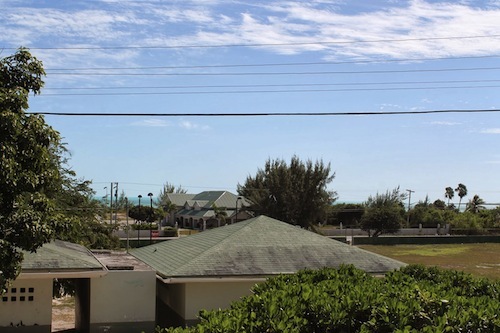 Well, in the Turks and Caicos, the investment can be seen in schools at both elementary and high school levels. 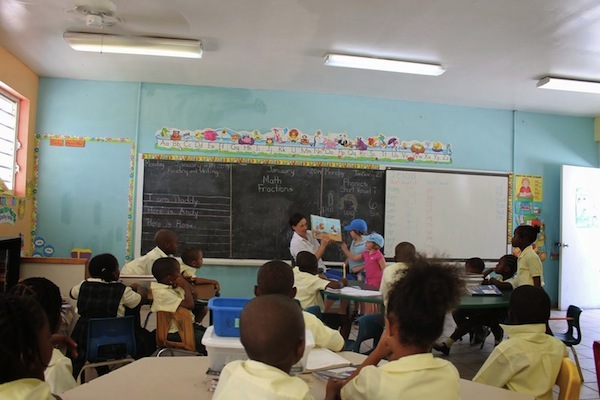 The Sandals Foundation not only invests in the schools but Beaches provides an internship program in the local high school which leads to permanent positions at the resort. In speaking with Louciano, he explained he had graduated from high school two years ago and was pleased with the progress he had made at the resort. 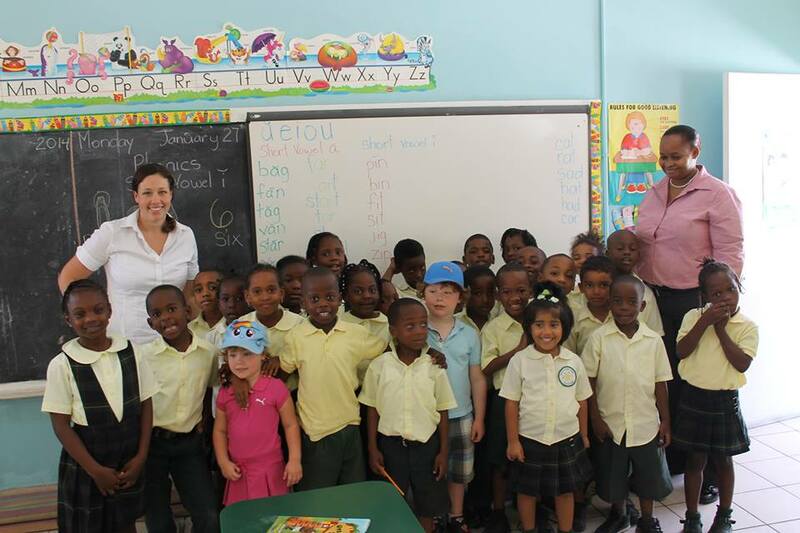 After looking into the Sandals Foundation further, I expressed an interest in visiting the elementary school on the island that is sponsored by the Foundation. My request was met with an enthusiastic yes and yesterday morning, Will, Charlie and myself were invited to visit the school. Will, Charlie, and I may not remember every moment of our vacation years from now but we will never forget how incredible it was to visit the school and meet and play with the children there. We definitely learnt more about the culture of the Island that day than at any point on the resort. As a mother, I was very grateful Beaches Resorts offered this option as a way to further their education in how different people around the live, eat and play while we were on vacation. 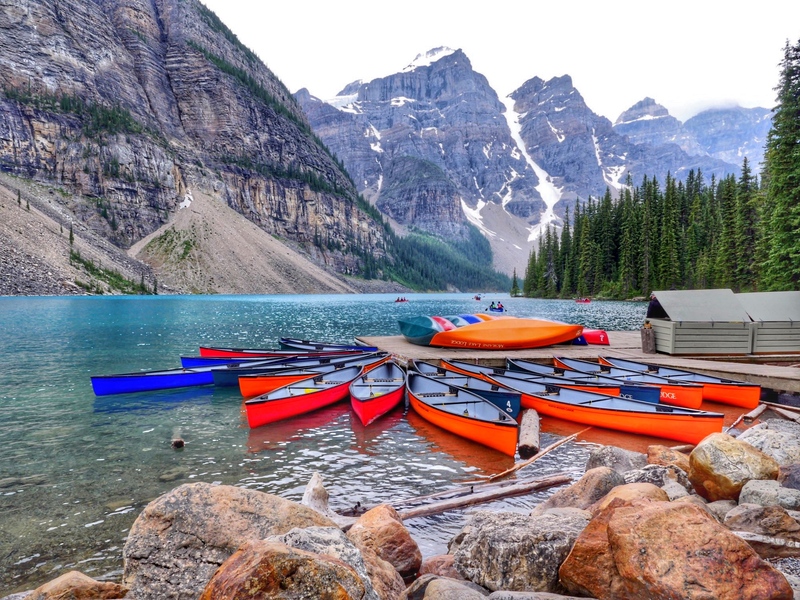 Besides the Reading Road trip, there are many other ways travellers can help out including purchasing items from the gift shops at the resorts and participating in the Pack for a Purpose program. The program asks charities like the Sandals Foundation to list their projects and needs on the website. Then, travellers headed to the resorts can pack up to 5 pounds of supplies that are in need, like school supplies or clothing, and donate them at the resort. 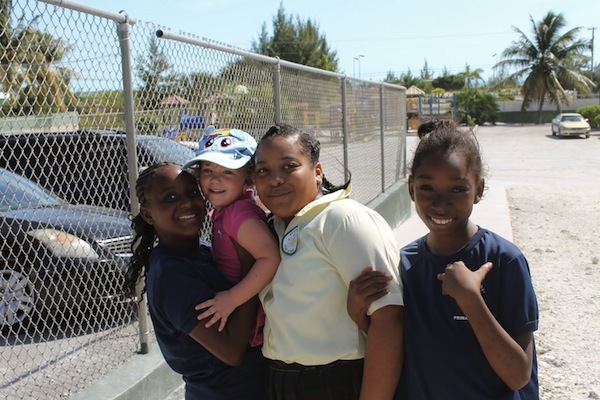 Since we had a washer and dryer in our room, see earlier Key West Village review, I was able to wash all the clothes my children would have outgrown by summer time here in Toronto and donate them to local children on the island. 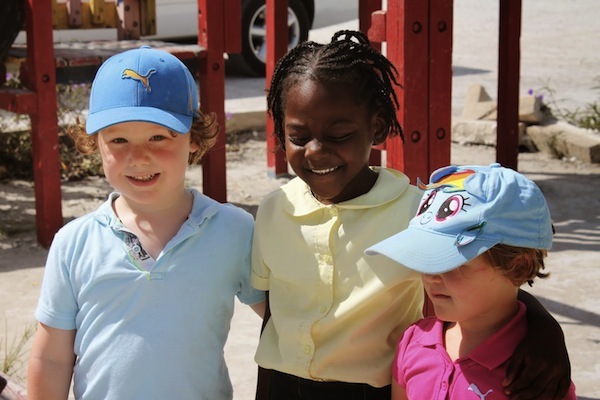 All administrative and management costs associated with the foundation are supported by Sandals Resorts International, meaning 100% of all the money raised goes directly into the schools, environmental projects and communities. Wow! I really, really love this. Kudos to Sandals – impressive! What an incredible way to give back while traveling the world. I love that you visited this school, and it’s these encounters and experiences which I believe make the most impact – these are the visits the children will remember long after they’ve graduated. I’m glad you had such a great time. Very happy to hear about the Sandal Foundation – so glad that resorts are now leading the way in contributing to their local communities and creating economic growth at grassroots levels. I really enjoyed reading this article. The Sandals Foundation sounds like a superb initiative, I’m thrilled to hear how they are encouraging their guests to give back to the communities that support their stay in paradise. I’ll be sure to look out for similar projects here on Barbados. It’s great to learn that Sandal’s Resorts support their local communities and environment. We agree that interacting with locals can create some of the best memories of an entire trip. The next time we’re in the Caribbean, we’d love to check out some of Sandals’ environmental initiatives. Amazing post. Thanks for sharing awareness of this incredible initiative, respect to Sandals for thinking it out and implementing it. What a great way to take travel to another level. So awesome that you were able to spend time checking out the school and meeting the kids. I can imagine how rewarding the experience was.